Doctor David Hurd is widely recognized as one of the foremost church musicians and concert organists in the country, with a long list of awards, prizes, honors and achievements to his credit. From 1976 to 2016, he worked at The General Theological Seminary of the Episcopal Church in New York City, first as Director of Chapel Music and later also as Professor of Church Music and Organist. The Church of Saint Mary the Virgin is honored to have Doctor Hurd as our Organist and Music Director. The choir of the Church of Saint Mary the Virgin is an outstanding professional ensemble that sings at the solemn liturgies of the church from the first Sunday in October through the Feast of the Body and Blood of Christ in June. At each Solemn Mass the traditional Latin chants are sung. The choral music includes works from the Middle Ages to works of living composers, all heard in the magnificent acoustic of Saint Mary’s. A strong tradition of congregational and choral singing goes back to the beginning of the parish. Saint Mary’s offers a wide variety of concerts each year. In addition to concerts offered by our music department, we also host a number of outside groups who offer concerts in the church or in Saint Joseph’s Hall. Please contact the performing arts groups directly, for more information or to purchase tickets. Reservations cannot be made and tickets cannot be purchased at the parish office. 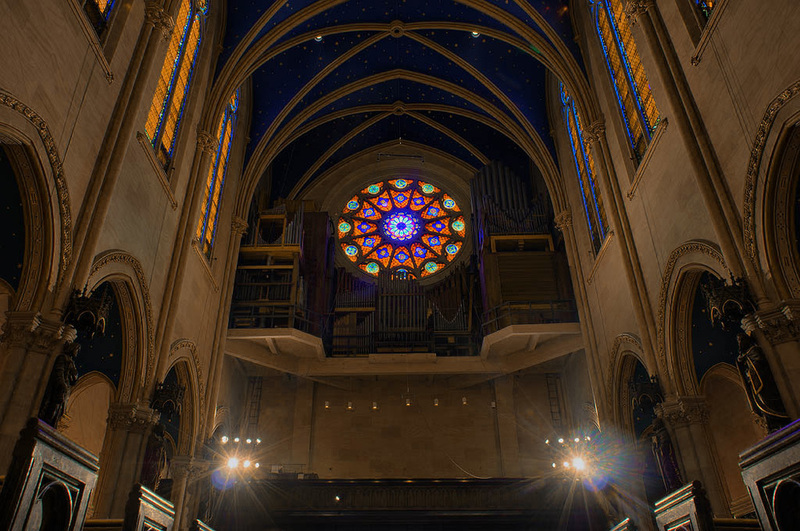 You may view the Saint Mary's concert schedule here.